A homemade chocolate sauce can add a gourmet touch to almost any dessert. This particular recipe is simple, easy, and delicious. Small/medium saucepan (A nice saucepan is a handy addition to any kitchen. Here is a great article on how to pick out an excellent saucepan. 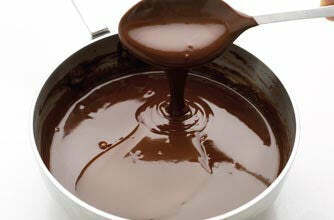 In your saucepan, whisk cocoa and sugar until blended. Continue mixing and add water and salt until well blended. Cook over medium heat, bring to a slow boil. Stir continuously to avoid scalding. Boil until sauce begins to thicken. Pour into airtight container for storage. Keep refrigerated.